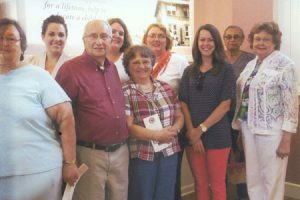 Visitors from the South Carolina National Heritage Corridor Group, Region, 2 were recent guests at the Biddle Hall Museum on Bettis Academy campus in Trenton. The group spent a part of their day viewing and discussing artifacts n the museum and surrounding areas on campus. To learn more about the rich history of Bettis Academy contact Mrs. Willa Lanham at 803-649-7709. Museum hours are Fridays 12-4 and Saturdays 10-2 or by appointment.